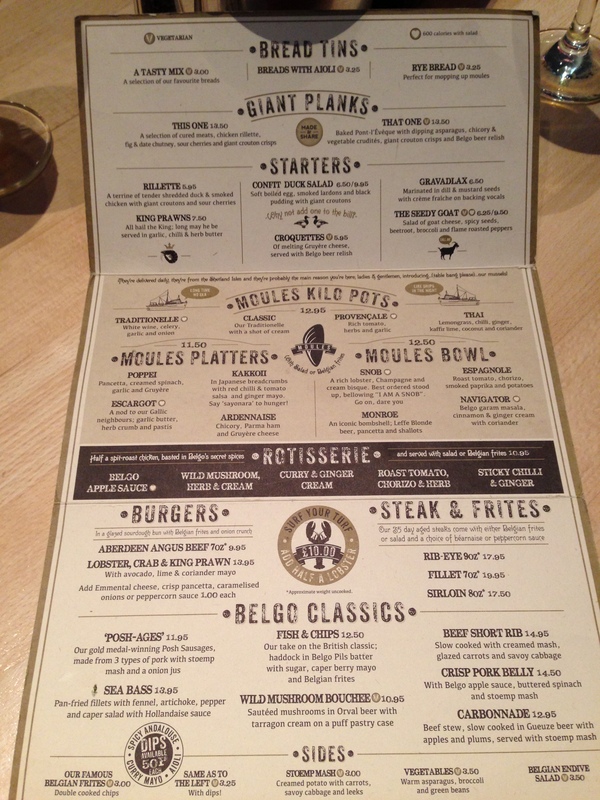 Belgo | Restaurants of the World Unite! It’s the Jazz Marathon in Brux this weekend (http://www.brusselsjazzmarathon.be/) so in that spirit we headed to the Green Note (http://www.greennote.co.uk/) in Camden and caught Manière des Bohémiens. Excellent stuff and great venue. 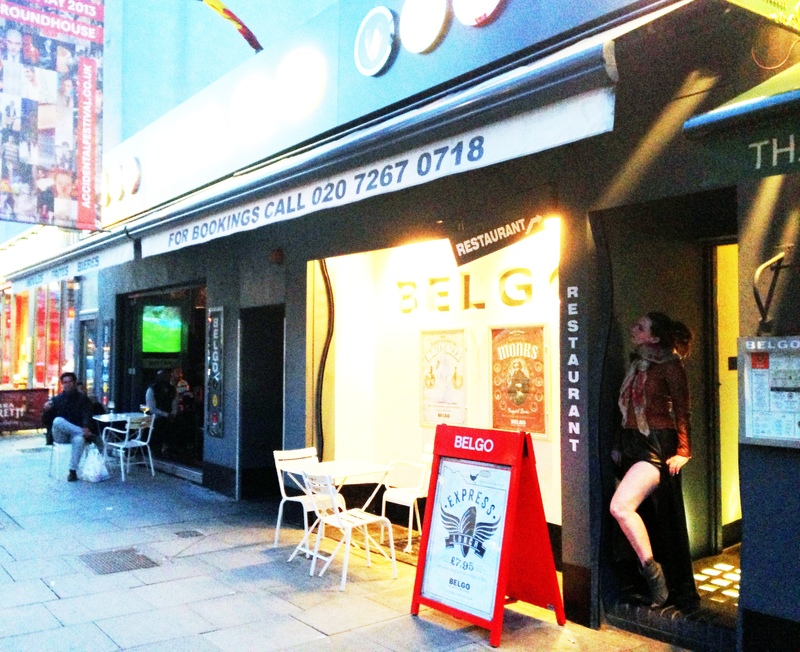 In the interval we dashed out to the Belgo (http://www.belgo-restaurants.co.uk/) near Chalk Farm. For those who don’t know, I lived in the glorious eccentricity that is Brussels for nearly four years and with the untiring help of my chums I got to know it very well and discovered many culinary treats and world-class eateries. Belgium is famous for it’s beer and chocolate … as well as that other thing. But while its cuisine is not trumpeted to the same effect as for France or Italy, it can stand toe-to-toe with the best of them. Though the Austrians are providing pretty stiff competition on that other thing. So it saddens me to report that as far as I can see Belgian food is woefully represented in London. Perhaps it doesn’t need to be, we are after all 2 hours away from Brux. But I’ve eaten well in Clapham North Belgo in the past so I was baffled and disappointed in Camden. The space is amazing, inventively designed but overlit perhaps. There was an extremely solemn hen-do taking place a couple of tables down so that didn’t help. It has a healthy selection of beers – tick. But the menu is somewhat limited. Moules and frites yes, but my understanding is that moules are not in season in a month with no ‘R’ so that left the other options. Steak and frites – tick, but that only left Carbonnade with stoemp or Waterzooi as the uniquely Belgian dishes. I went for the Carbonnade, the Better Half for the lobster burger with the ‘famous’ double-cooked frites. 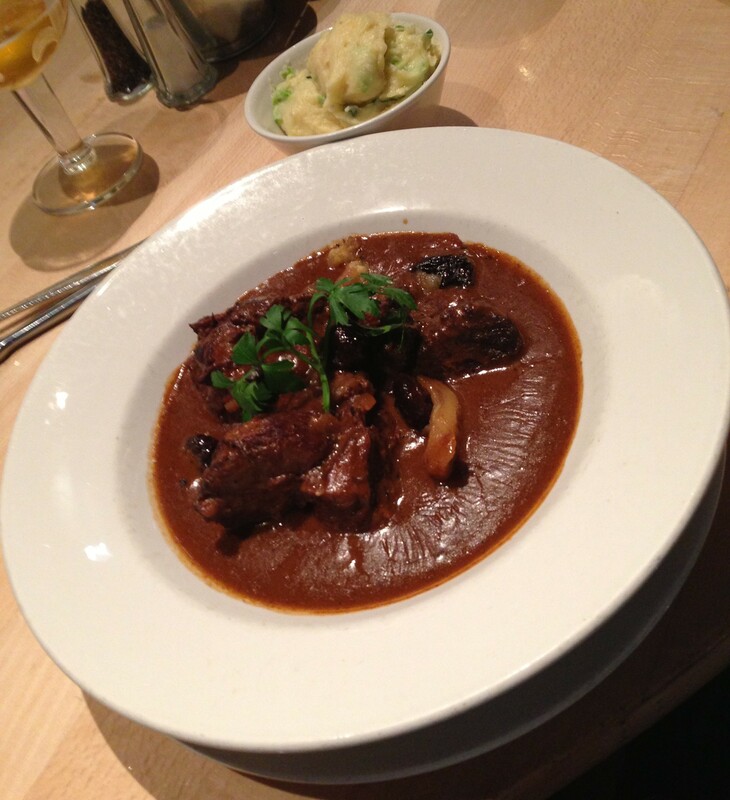 The Carbonnade was tasty enough – it’s not haute-cuisine but the hunks of beef were huge and quite dry. The lobster burger was nothing to write home about and no Belgian would lay claim to the frites. 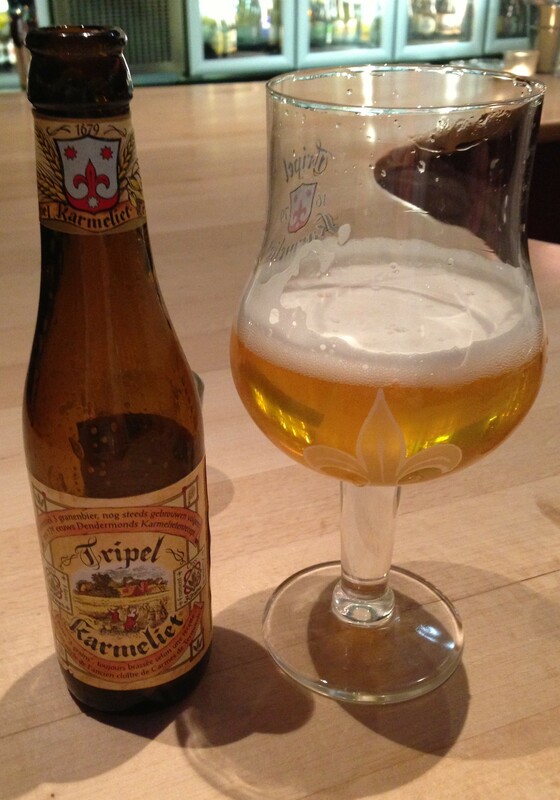 All washed down with a Tripel Karmeliet which was tasty. Uninspired, which saddens me. The only other Belgian restaurant I’ve tried in London is the Cambridge Circus branch of Chez Leon (http://leon-de-bruxelles.co.uk/) the original of which is the only one worth trying on Rue des Bouchers (http://uk.chezleon.be/) a joyless tourist trap two streets over from Grand Place. Tragically, the one in London is tiresomely dull. Not very tasty, small portions and over-priced. And neither Belgo nor Chez Leon serve horse, which of course tells you everything about the stupid Britishers and their idiotic singling out of horse as a animal to be revered and not chomped on. If you have a hankering for the Belgian food, just go there. It’s so close, so tasty and so reasonably priced. And multiple European cuisines are very well represented in Brussels as it is home to thousands of overpaid functionieres all of which want food like-a mama used-a make-a. But for the Belgian stuff try Theatre de Toone for beer (http://www.toone.be/); Le Pré Salé for steak, horse or moules (http://www.resto.be/restaurant/bruxelles/7133-pre-sale/) – always book ahead; the Volle Gas for traditional Belgian fayre (http://www.restaurant-volle-gas-bruxelles.be/); Au Vatel for superior baked goods; Pierre Marcolini for chocolate (http://www.marcolini.be/); and Maison Antoine for frites (http://www.maisonantoine.be/). Carbonnade – the gravy is getting a skin on it like school custard. They’ve over-complicated it with prunes and apricots, but I was OK. Mummy says I’m jolly brave. 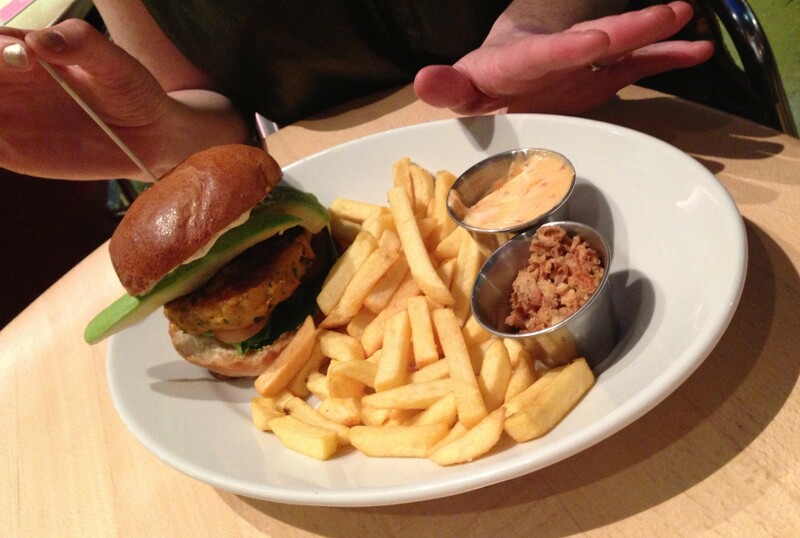 The lobster, crab and king prawn burger. I bet that burger has as much lobster in it as a Findus lasagne has beef. The menu. With Sea Bass. Just like in Belgium. 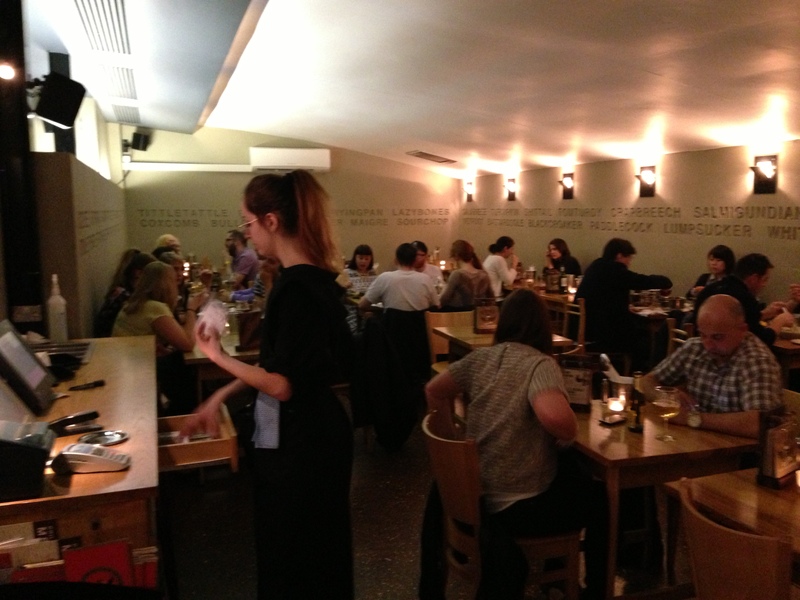 Inside of Belgo. Not pictured: saddest, least raucous hen-do ever witnessed. She must have been marrying into the Goves. Outside of Belgo. My Better Half showing off her lower half. yeah its rubbish that place. but i did manage once to acquire some new sunglasses there that someone had left behind. I prefer macdonalds fries. (2) Have access to a PC. I can’t emphasize how important this is. (3) Stay under 800 words per post and don’t moderate your style to appease an imagined audience.